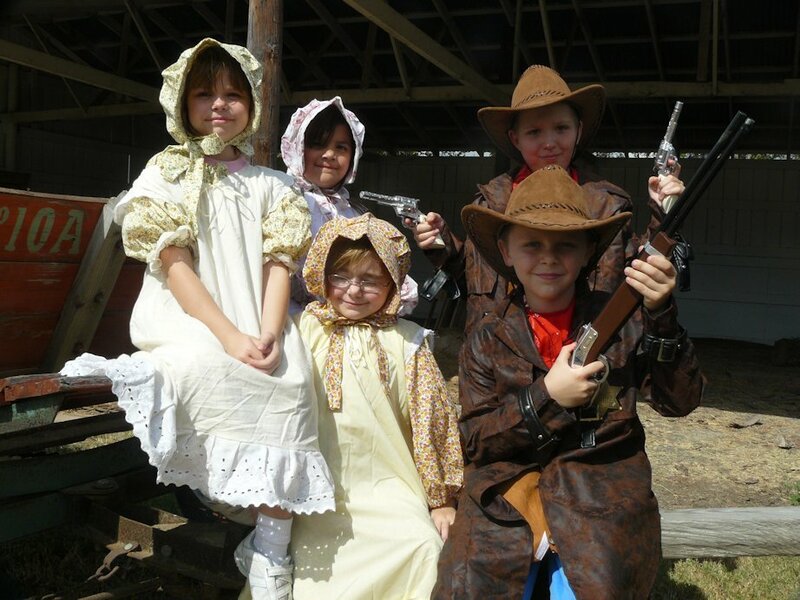 Welcome to our gallery for historical clothing! Listed prices are for solid colors and any solid color is available! Cotton print fabrics vary with availability, please add on the printed fabric upgrade during checkout. Please include your color or style preferences for fabrics, blouse size and height. If possible, it is best to include chest measurement or bra size. Standard girls dresses and skirts are tea length. Standard ladies dress and skirt lengths are ankle. Dresses in this collection are free-flowing, meaning the waist is not defined so a sash or apron is recommended. Dresses and blouses have a drawstring adjustable neckline and ribbon adjustable sleeves. Skirt will fit any size and adjustable with drawstring. Your choice of short, 3/4 or long sleeves. You can also see our other eras for more possibilities for pioneer clothing. 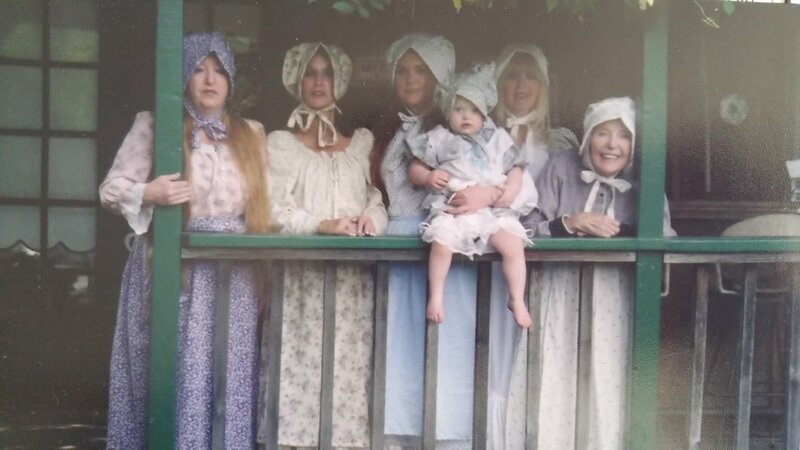 All homestead dress and combo sets come with a bonnet! US Shipping included! We accept pictures and sketches to quote you for a custom style! Basic homestead dress with sash and bonnet makes the perfect work style set. No lace on this item. 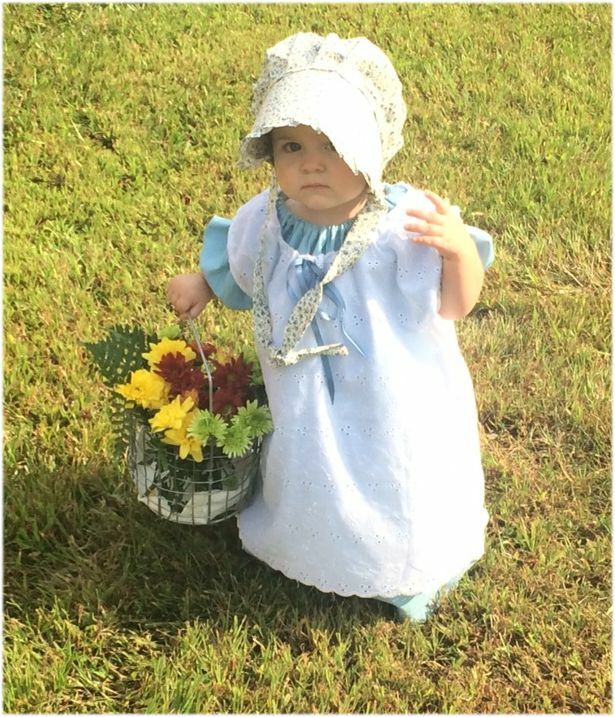 This pioneer set is our basic pioneer dress with eyelet pentafore, also includes a bonnet. This homesteader set was worn in the movie Revelation Trail. It has a short stand-up collar, muslin pentafore with eyelet trim and includes the sash and bonnet. 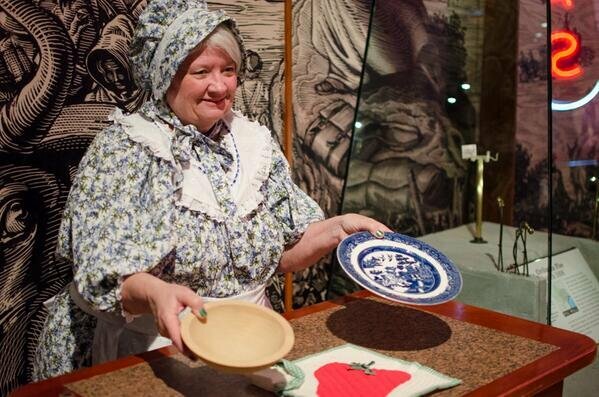 This gown is worn by volunteers at the Texas State History Museum. It features a blouse, skirt, apron, ruffled collar and includes the bonnet. This is a 4 piece pioneer set. It comes with our free flowing pioneer dress, pleated bottom with ruffled pentafore, sash and bonnet. This set was a remake from an 1890s picture of the Garden of the Gods Visitor's Center. It features a ruffled neckline. The apron is adjustable by crossing or uncrossing the shoulder straps or moving the button on the straps. Includes a bonnet. This set was inspired from an 1890s picture of the Garden of the Gods Visitor's Center, redesigned for the preacher's daughter in Revelation Trail. It features a wide eyelet ruffled neckline and sleeve dress. The apron is adjustable by crossing or uncrossing the shoulder straps or moving the button on the straps. Includes a bonnet. This set was inspired from an 1890s picture of the Garden of the Gods Visitor's Center, redesigned for the preacher's daughter in Revelation Trail. It features a wide eyelet ruffled neckline and sleeve dress with pleats at the bottom of the dress. Includes a mop hat instead of a bonnet. 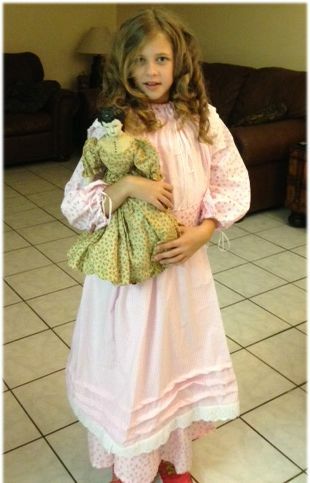 Basic pioneer dress with lace trim on the sleeves, includes apron and bonnet makes the perfect pioneer style set.